On January 25, a line formed up the stairs to the Nest’s lower atrium, leading up to another line of people wearing head covers and serving food. Mats lined the floor where people sat and ate together. Sounds of stringed instruments and singing floated above the usual hum of activity in the campus hotspot. 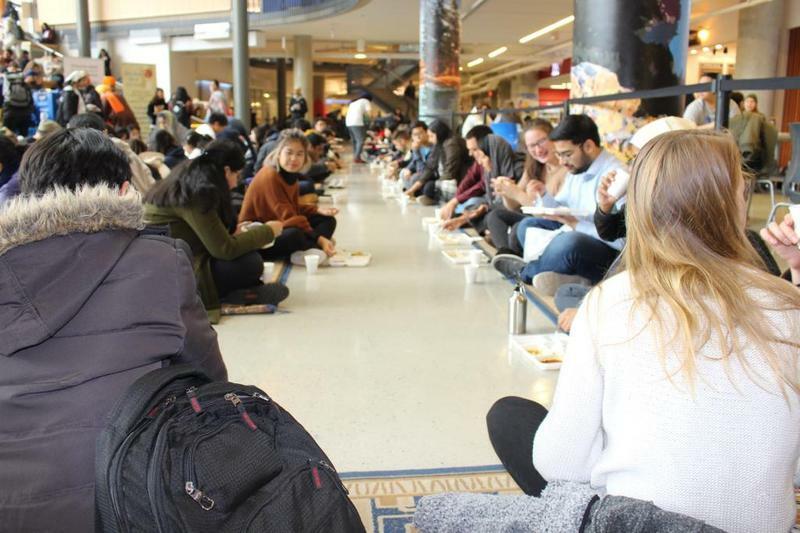 The Sikh Student Association of UBC in partnership with Guru Nanak’s Free Kitchen and Basics of Sikhi Canada hosted Langar Day for the second time this school year. “Langar” means free meals for all and the Sikh community adopted this practice 550 years ago. While one can seek Langar at any Gurdwara, a Sikh place of worship, the SSA decided to bring Langar to campus. “It’s about equality in so many ways,” added Punar Kaur, a second year UBC student. The event is not only an opportunity for the Sikh community to reach others but to strengthen the bonds within.